and XTube Boxer® Scraped surface heat exchangers. XLG heat exchangers solve problems in a wide range of industrial applications in processes involving heating, cooling, condensation, pasteurization, high temperature sterilization, heat recovery… for the food industry, automotive industry, pharmaceutical industry, chemical industry, environmental control industry... Below you will find a list of our products, along with the brochure for each product. These are corrugated tube heat exchangers formed by two concentric tubes and are especially useful for treating slurries (fluids which contain significant amounts of fibers or suspended particles) and particulate fluids (such as fruit dices). 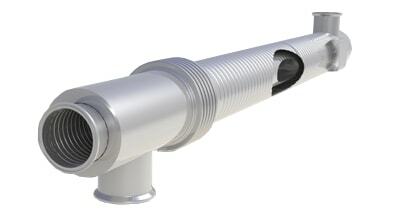 XLG®S Tube-in-Tube heat exchangers are constructed from stainless steel and are formed by having two concentric tubes. The fluid to be treated is normally passed through the corrugated inner tube and the service fluid, providing the source of cooling or heating, passes through the annulus formed by the two tubes. Multi-tube heat exchangers developed for industrial applications such as steam water heating, energy recovery, condensation etc. XLG®I-Series Industrial Multi-tube heat exchangers are manufactured from stainless steel and consist of a bundle of corrugated tubes mounted within an outer tube (which forms the outer shell). The fluid to be treated (the product) flows through the interior of the tubes forming the tube bundle and the service fluid outsider the inner tubes, through the shell. These are demountable corrugated tube heat exchangers formed by two concentric tubes and are especially useful for treating slurries (fluids which contain significant amounts of fibers or suspended particles) and particulate fluids (such as fruit dices). 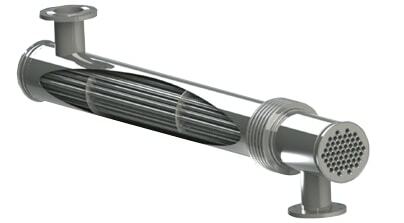 XLG®SD-Series Demountable Tube-in-Tube heat exchangers are constructed from stainless steel and are formed by having two concentric tubes, the inner tube being demountable from the outer tube. 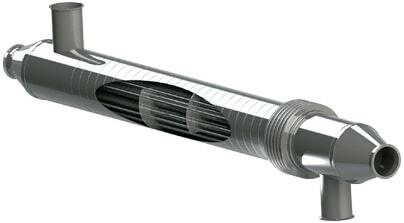 The fluid to be treated is normally passed through the corrugated inner tube and the service fluid, providing the source of cooling or heating, passes through the annulus formed by the two tubes. 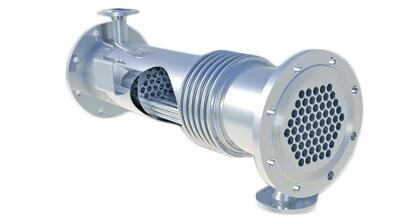 Multi-tube heat exchangers developed for hygienic/sanitary applications in the food, dairy and beverage industry. The fluids may be viscous and may also contain limited quantities of pulp and/or fibers. XLG®M Multi-tube heat exchangers are manufactured entirely from stainless steel and consist of a bundle of corrugated tubes mounted within a corrugated outer tube (which forms the outer shell). The fluid to be treated (the product) flows through the interior of the tubes forming the tube bundle and the service fluid outsider the inner tubes, through the shell. Shell and tube heat exchangers which use pharmaceutical quality inner tubes being corrugated. Tube bundles can be fully welded or removable. The units incorporate high quality inner tubes specially manufactured for processes in the pharmaceutical and biotech industries. XLG®PH Pharma Grade heat exchangers are shell and tube heat exchangers which use pharmaceutical quality inner tubes. Tube bundles can be fully welded or removable. The units incorporate high quality inner tubes specially manufactured for processes in the pharmaceutical and biotech industries, with a surface roughness adapted to the nature of the process. The internal tubes are corrugated in order to significantly increase the rate of heat transfer. The fluid to be processed (product) flows through the inner tubes and the service fluid over the inner tubes through the shell. The fluids are completely isolated from one another, the heat being transferred through the inner tube walls. 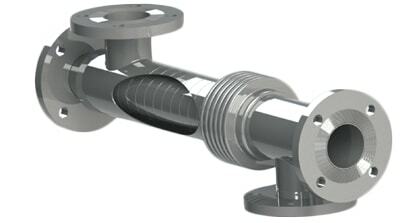 Heat exchanger with three or four concentric corrugated tubes. Very suitable for processing viscous products especially in sanitary applications, although it can be also used in industrial applications. XLG®T Triple-tube heat exchangers are manufactured entirely from stainless steel and consist of three or four concentric corrugated tubes. The fluid to be treated (the product) flows through a kind of sandwich as it is heated (or cooled) from the outside and the inside annulus made by concentric tubes, while the product flows in the middle annulus formed by the 2nd and 3rd tubes. A new Scraped Surface Heat Exchanger specially suitable for processing high viscosity fluids or for high fouling applications. 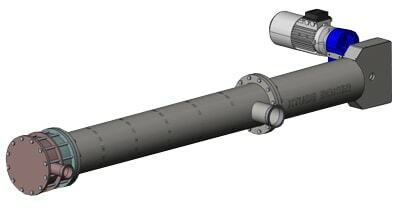 The heat exchanger incorporates a tube bundle with heating or cooling fluid passing through the interior of the tubes (the Service fluid) with the fluid to be processed (the Product) passing over the external surfaces of the tube bundle.The heat exchangers are fitted with an electric motor and gearbox which drive the scraping elements. 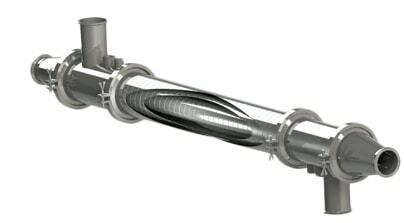 Movement of the rotor displaces the scraping elements along the length of the tube bundle, which results in the outer surfaces of the tubes being cleaned of any fouling deposit while the Product fluid is agitated and mixed. The movement maintains the outer tube surfaces clean and improves the rate of heat transfer into or out of the Product. Please Contact us for more information about XLG and their products.